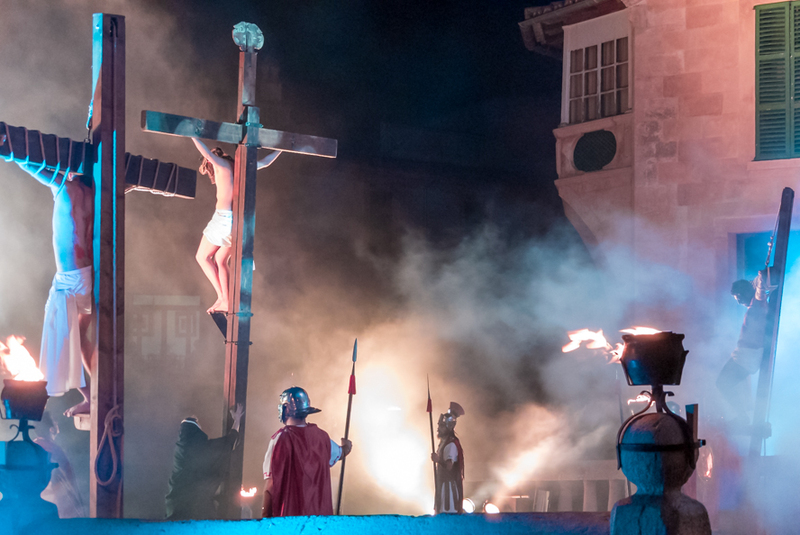 Every year, the Passion Play is presented in live performances in Palma de Mallorca (Vía Crucis), Sant Joan and Felanitx (Davallament). In Artà and Pollença, the Davallament is also acted with real people, but for the crucifixion statues are being used. Here, a photo from the Davallament performance during the night of Good Friday, in Felanitx. The photo was taken in Felanitx, Mallorca, Baleares, Spain. The date: April 18th, 2014.